This course will introduce you to the basics questions of how to study your Bible. What is Bible study? Why do we study these specific 66 books? What type of literature are we studying? What are the practical steps we should take? How do we determine a word's meaning? How do we apply the text to our lives? 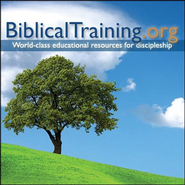 I'm the author/artist and I want to review Bible Study Methods: Biblical Training Classes.